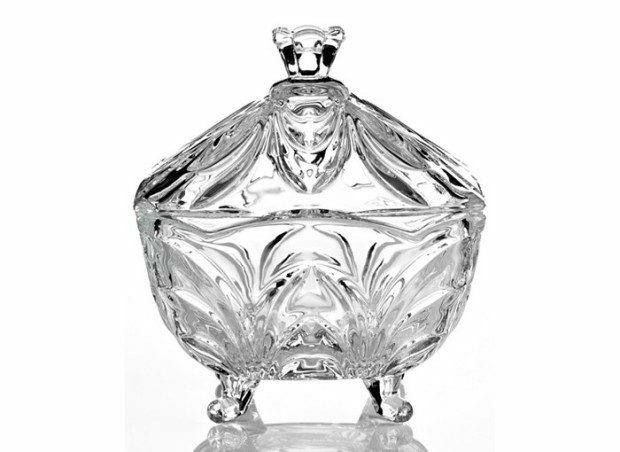 Serenade Crystal Covered Candy Dish Only $7.50!! You are here: Home / Great Deals / Christmas Deals / Serenade Crystal Covered Candy Dish Only $7.50!! Head over to Macys.com for a great deal! You can get 25% off select merchandise! (Expires 12/10) I found this beautiful Crystal Covered Candy Dish! Perfect for your own home or a very lovely gift! My mother used to keep ribbon candy in one every year at Christmas! The Serenade Crystal Covered Candy Dish is on sale for $9.99 (Reg. $20). Use promo code FRIEND to get 25% Off (works on select items), for a final price of $7.50! Shipping is FREE on orders of $99+! You may be able to opt for FREE in-store pickup (if available near you)!